Welcome to our website Jankarihub.com. We will Discuss Patanjali Paridhan Store – Live Fit, Aastha, Sanskar Brands. As we have been listing for several years for Patanjali Jeans and other clothes but this was a dream for Indian People. Whenever anyone used to ask questions to Baba Ramdev to launch Patanjali Jeans. He replied to launch about the jeans or the garments. 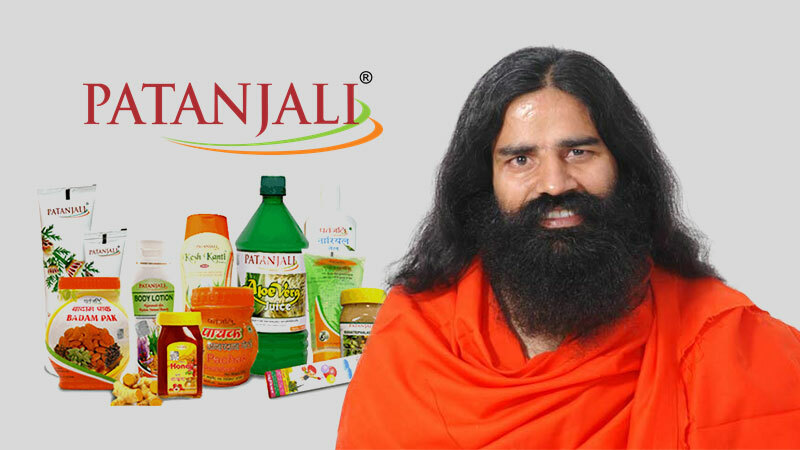 Patanjali Paridhan Store is the most noteworthy Store where Three brands products are sold on different price. 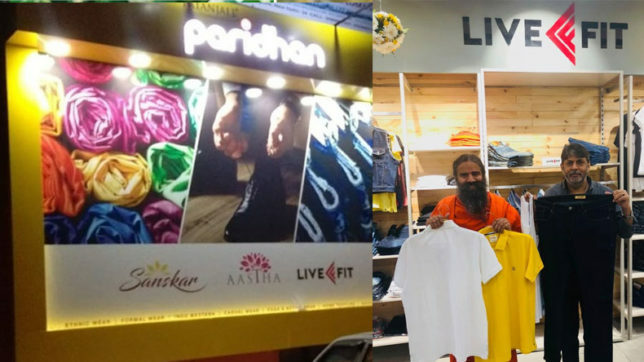 In Patanjali Paridhan Store there are three Brands – 1) Live Fit 2) Sanskar 3) Aastha. All Garments and accessories come under three brands. Patanjali Paridhan store has been opened in Pitam Pura New Delhi. While Innougration Many media channel were there because they were invited to telecast. This was the most promotion medium rather than another way. On the occasion of the inauguration, Patanjali Paridhan Store two special guest was there. almost Products are very Good and the best quality. First of all Baba Ramdev inaugurated. After that, He explained all products and garments quality and durability. Patanjali Paridhan Store is like Nike, Puma, Levis, Reebok etc. Here all types of Garments are available, Jeans, T-shirt, Shoes, Suit, Lahenga, Kurta, Kurti, sports shoes, sports cloth, vest, pajama, saree, salwar, suit, coat, pant, readymade, non-readymade etc. All products will be only three brands – Live Fit, Sanskar, Aastha. Why Patanjali Jeans is in trends because this is very awaited products from Patanjali. Hence many people are attracting towards this store for purchasing the products. On inauguration time that discount was 25% at all products because of Diwali season. While interacting with News channel Baba Ramdev announced to open the 25 Store throughout India by December 2018. At last, he announced to open around 100 stores by March 2019. He supported the person who is making bamboo garments. Most products are Denim and Khadi. His main aim to promote Indian products. Let look the short information about the Brands. Live Fit brand is the best and most popular brand. According to Baba Ramdev, this name is unique and very famous. For announcing this name baba ram dev was very happy because of the Patanjali Jeans. We would like to inform you that under this brands all men accessories are available. Above all the information have been taken from NDTV News channel. Live Fit Brand hence sports shoes with Memory Foam, T-shirts, Under Garments, Yoga Suit, Yoga mat, sleeper, khanau, etc. consequently, all products are very good with Latest Trends. This is the best and important brand of Patanjali Paridhan Store under this brand all men’s and kids wear garments. Like – Coat, Jeans, Shirt, Sanskar Jeans is the name of Patanjali jeans. 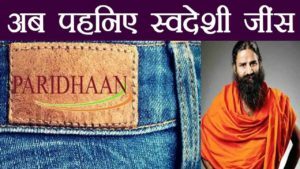 On Patanjali Jeans Baba Ramdev Told that Patanajali Name is the name of Muni (Monk) so this is not possible to name of Patanjali Jean. This Jean’s name is Sanskar Jeans. Swadeshi Marketing business plan reveals about the country made products. Baba Ramdev business moves around the Swadeshi Marketing Business Plans. Patanjali Jeans is Known as new name Sanskar Jeans. (Paridhan Jeans) Patanjali jeans online shopping will be available in coming days. Patanjali apparels are available in store. This is the 3rd and topmost brand of Patanjali Paridhan store because this brand covers all types of clothes of Ladies. Mostly products of Aastha brands are Patanjali Denim products. Patanjali Denim quality products are many more. Like suit salwar, kurti, yoga dress, pajama, Lahenga, Saree, Banarasi saree, Rajasthani Saree, Towel Bed sheet, Sleeper, many more. Another way is to promote the products online. These above attractive products are at the affordable price. If you are interested to buy these above products. Kindly visit Delhi Pitam Pura Adress. In coming days Patanjali Paridhan store will be available nearby you in next 3 Months. As Baba Ramdev always says that I am desi man means desibaba. Under this brand’s many kinds of jewelry available in this store outlet. Baba Ramdev also compared his brands to Superdry, Armani, Buchy etc. He told we provide the products very cheap cost rather than other foreign products. Moto of Patanjali Paridhan Store is to sell the products It means Modi’s target is “make in India”. According to Baba Ramdev, this is the gold and most awaited desi jeans. And by opening this store’s many employments were increased in India. And there will be most chances to open the small and medium business in India. Patanjali Jeans Cost (Paridhan Jeans) is very affordable according to other foreign companies. Patanjali Paridhan Store has told to run with fashion age. They have provided the latest and the best style. Hence this brands will be the best in coming days. Conclusion – Finally Baba Ramdev has opened the Patanjali Paridhan Garment stores where all types of Garments available. Baba Ramdev is the brand ambassador of Patanjali Products. Patanjali Ayurveda is the best and the most popular company in India. First of all, we will give you short information about this company. This is the most popular company for consumer goods company. Patanjali products are sold more because it is full of quality and purity. Therefore there are many demands for this products. Patanjali is not only dealing in foods and medicine but also in Garments. Probably in the coming days, this will be the most popular store. Patanjali dealership distributorship apply online. I want to start Patanjali jeans store. Can you guide me ? Patanjali products franchise distributorship dealership apply online… Patanjali head office contact number 7290988135.